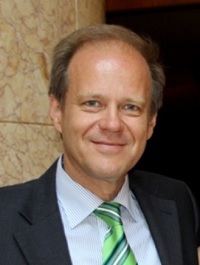 Professor Gerhard Litscher, Editor-in-Chief of the journal Medicines, received his Doctor of technical sciences at the Graz University of Technology and a Doctor of medical sciences at the Medical University of Graz. For more than 16 years, he has been investigating acupuncture with modern equipment. He has published more than 170 PubMed/SCIE-listed papers on the topics neuromonitoring and high-tech acupuncture. Prof. Litscher, your latest contribution to Medicines is a brief report entitled “Sino-Austrian High-Tech Acupuncture Network – Annual Report 2014”. What exactly is this network and what does it do? The Sino-Austrian High-Tech Acupuncture Research Network was initiated and founded in 2005 by the Medical University of Graz, and it has been growing ever since. The network comprises many partner universities and institutions from China. Our main partner is the China Academy of Chinese Medical Sciences in Beijing, but for example during the last year there were also important cooperations with the Capital Medical University in Beijing and also the Heilongjiang University of Chinese Medicine in Harbin. All the network members are highly involved in research and publication activities. Within the report mentioned above, we wanted to introduce the network’s activities in the year 2014 to a broader audience. In 2014 you initiated the first World Congress of High-Tech Acupuncture and Integrative Medicine in Nanjing. Could you tell us something about this congress and why it took place in China? Our research team is interested in evidence-based scientific research on novel technologies. To date some aspects of TCM that have not been given much attention so far, for example the objectivation of new acupuncture techniques such as painless laser acupuncture and electroacupuncture. Our team has implemented several research projects in cooperation with Chinese researchers based in China on the topic ‘Methodology and mechanism study of application of acupuncture’. Because acupuncture and its accompanying Chinese medical techniques for treatment of disease evolved in China more than 4000 years ago and western medical technology is increasingly available there, China seemed an appropriate choice for the world congresses on this combination of ancient and modern science. Insofar as the use of Chinese medicine and acupuncture technologies for treatment of disease is spreading globally, it may be appropriate to have this world congress in other countries at some future date. The next world congress,however, will also take place in China, in Hangzhou, from 22–24 May, 2015. You will find more information on the website of the journal Medicines (under “Conferences”) or at https://www.bitlifesciences.com/HTA&IM2015. Since 2014, you are Editor-in-Chief of Medicines, published by MDPI. What is your intention for this journal and which types of papers are you looking for? As the logo of Medicines shows, the journal is about a mixture of tradition and innovation. The subtitle gives you a clear idea of the journal’s goals: contributions on evidence-based classical, complementary and integrative medicine. What distinguishes Medicines from other journals in the field, why should researchers submit their manuscripts to this journal? Medicines is an international, open access scientific journal that covers all kinds of medicine. It of course publishes original research papers, case reports and systematic reviews; however our aim is to encourage scientists to publish also their theoretical and experimental results in as much detail as possible. There is no restriction on the length of the papers. Computed data or files regarding the full details of experimental procedures, if unable to be published in another way, can be deposited as supplementary material. Also manuscripts regarding research proposals and research ideas are particularly welcomed. It is our intention to have a very short review process. I am sure Medicines will be a success. Can you tell us something about the Editorial Board of Medicines? The Editorial Board consists of top experts from all over the world, and it’s not necessary to introduce all members personally; every single name stands for top research and high quality. The representatives of Medicines know each other very well, and there are regular personal meetings. My next meeting with one of the Associate Editors of Medicines and the Assistant Editor of MDPI will take place in Beijing at the beginning of January 2015. What are the future aspects of Medicines? Over the last few months, seven special issues of Medicines opened their call for papers. I am sure Medicines will be PubMed- and SCIE-listed soon. We are expecting your high-quality scientific work in the field of Medicines.